About the Firm | Law Offices of David M. Brandwein, P. A.
Don’t let a personal injury keep you down. Suffering a personal injury can take quite a toll on your life. Medical bills begin to pile up and your family still needs to be cared for. Not to mention, the hoops that insurance companies try to make you jump through can make you wonder what the point was of having insurance in the first place. On top of all of this, your body is trying to heal — and the stress isn’t making any of it easy. Undoubtedly, there are a lot of questions you probably have concerning the ins and outs of hiring an attorney. With all you’re going through, the last thing you need is some lawyer trying to take advantage of your situation. The Law Offices of David M. Brandwein is well qualified in taking on your personal injury case. Some of the cases we have taken on include everything from car accidents to medical malpractice. If you were injured because of the negligence of someone else, you deserve to be compensated fully and fairly. We won’t let insurance companies bully you into settling for less than what is rightfully yours, and we aren’t afraid to take your case to court if necessary. We’re driven by the desire of putting the law to work for good, hardworking people like you. Contact us and let us help today. Does this lawyer specialize in family law? Does my lawyer have ample experience? Does my lawyer care about me? Does my lawyer have a board certification? Family law is what we do. David M. Brandwein is Certified Family Law Mediator by the Supreme Court of Florida. That means that he has the expertise and wisdom to handle whatever your family law case entails. With over 20 years of experience, the Law Offices of David M. Brandwein has delivered successful results for all types of cases. You can be confident that his experience can deliver for you, too. Our certifications say it all. David is admitted as a qualified attorney and counselor for the U.S. Supreme Court. He’s also a member of the U.S. District Court for the Southern District of Florida. At the Law Offices of David M. Brandwein, your best interest is our primary concern. Our desire is to alleviate the confusion and worry and replace it with clarity and confidence. We have the passion, experience, and strategic skills necessary to help you get back on your feet and move forward in stride. If you have a family law or personal injury case you would like for us to help you with, don’t hesitate to give us a call. Your consultation is free. Contact us today. Are you in need of legal assistance for your family or for a personal injury? If so, David Brandwein can be your advocate and provide the services you need. From car accidents and medical malpractice to divorce and Social Security Disability, David has the experience you’re looking for to help you move forward in life. 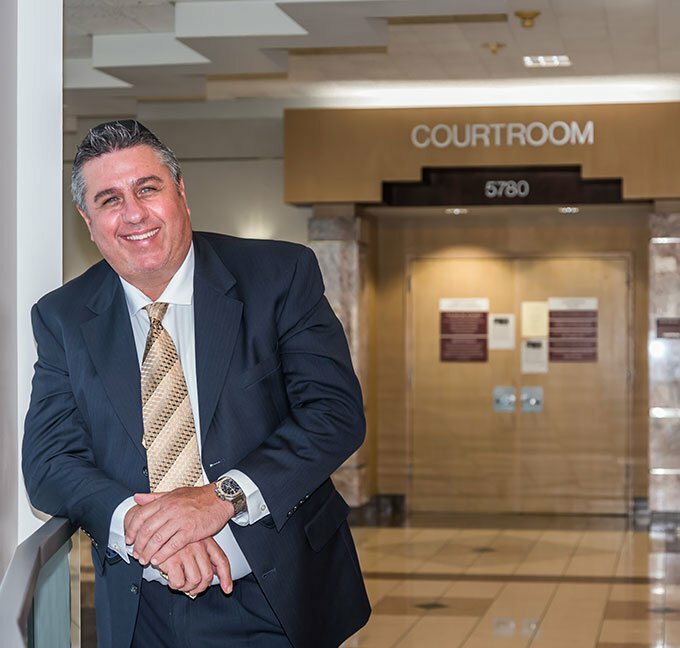 Located in Ft. Lauderdale, David proudly represents clients in Broward, Palm Beach, and Miami-Dade counties. Your consultation is free, so give him a call today. © 2019 Law Offices of David M. Brandwein, P. A.